Against a backdrop of families displaced by war, communities rocked by extremism, and whole nations on the brink of famine, the citizens of the world face an uncertain future. This feeling is especially acute for young people struggling to find their way through a shifting political and cultural landscape. They yearn to contribute to society in meaningful ways, but too often they’re being prepared for the world that was, not the world that is, much less the world that will be. For 27 years, IYF has remained steadfast in our mission to walk with the youth of the world, offering support and guidance along the way—and that isn’t going to change. To serve the world’s youth, to help them overcome the challenges and embrace the possibilities, forging partnerships and collaborative alliances is more critical now than ever before. The future can be bright and stable for the youth of the world, but it will take committed cooperation and investment from the public and private sectors—government agencies, local and multinational businesses, nonprofit and for-profit organizations, members of civil society, and young people themselves. 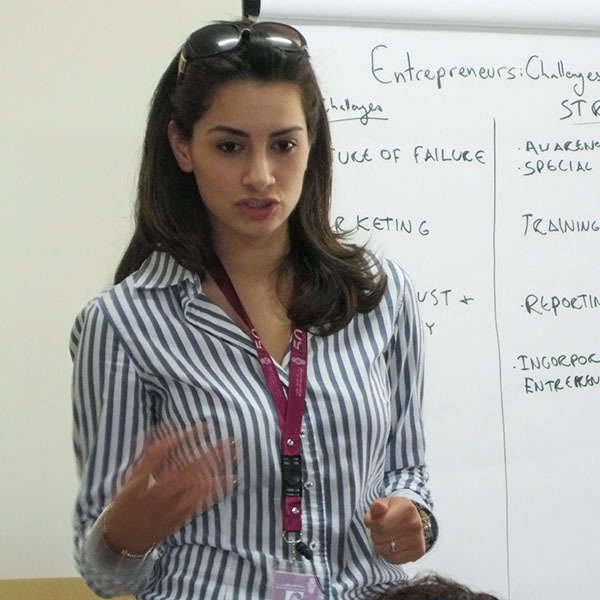 At IYF, we find inspiration and purpose in the resilient spirit of young women and men worldwide. They have vision, enthusiasm, and limitless potential. They remain hopeful that, given the right skills, direction, and support they can reach their dreams, shape the future, and change the world in lasting ways. They believe this, and so do we. The 21st century world of work is changing at an unprecedented rate; however, the way we prepare young people has not kept pace. Addressing this discrepancy is essential because the world’s youth are eager to embrace the UN’s Sustainable Development Goals (SDGs) as their own. Furthermore, so many already possess the passion, motivation, inherent talents, and innovative ideas to help transform the SDG vision into a reality. What they lack, far too often, is the opportunity, guidance, and skills necessary to have such an impact. IYF is committed to helping bridge the skills gap and to preparing young people for lives in the 21st century. To do this will require reimagining what it means to learn. Twenty-first century learning can no longer be confined to academic institutions and needs to encompass more than basic literacy and numeracy skills. 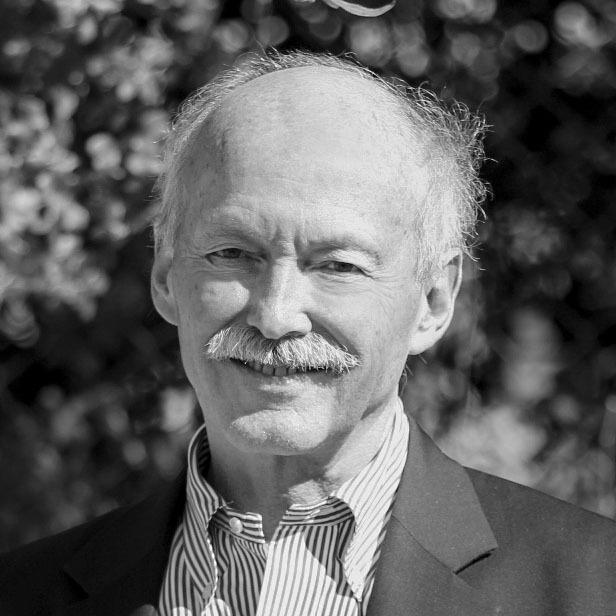 Twenty-first century learning must be available to all—regardless of ethnicity, social-economic status, or gender—and must not be seen as ending with the completion of a formal education, even college; rather, it must be a lifelong endeavor. Only then can the young people of the world be empowered to reach their full potential. Industry-specific vocational, technical, professional, and entrepreneurial skills continue to be in demand, and many young people need a combination. Around the world, IYF and our partners are providing opportunities for young people to acquire and update these skills, and we’re doing so in a way that will make significant, long-lasting systems change that ripples far into the future. In Mozambique and Tanzania, IYF has partnered with the MasterCard Foundation to develop Via: Pathways to Work, which aims to support 30,000 economically disadvantaged young people. Knowing that these youth often juggle multiple livelihoods—including self-employment—requiring various skills, Via works to improve technical and vocational education and training (TVET) and supports self-employment through entrepreneurship training. Moreover, the legacy of Via will extend beyond the direct impact it will make on the lives of 30,000 young people. Via is strengthening local government and other partner institution capacity to serve young people and to affect systemic change for improved/sustained youth outcomes. In Zimbabwe, IYF partnered with the U.S. Agency for International Development (USAID), the U.K. Department for International Development (DFID), and the Embassy of Sweden (Sida) to launch Zimbabwe:Works (Z:W), a five-year initiative aimed at helping young women and men acquire the work readiness and business skills they need to succeed. By strengthening the capacity of 23 implementing partners—local NGOs, businesses, and organizations—participants also received critical employment, entrepreneurship, and financial services. After taking part in program-facilitated internships, for example, 30 percent of youth interns transitioned to full time employment, while 34 percent started their own businesses. Of the 28,500 young people who have participated in Z:W, 17,300 have been young women. In Latin America and the Caribbean, the New Employment Opportunities (NEO) initiative has already improved employment opportunities for 150,000 young people, ages 16 to 29, in 12 countries. Launched in 2012 with the Multilateral Investment Fund of the Inter-American Development Bank, NEO has fostered a multi-stakeholder alliance—including Arcos Dorados, Australian Aid, Caterpillar Foundation, CEMEX, Fondation Forge, Microsoft, SESI, and Walmart—to align youth, school, training, and employer needs. In Kazakhstan, IYF and Chevron continue to promote hands-on learning in science, technology, engineering, and mathematics (STEM) for young women and men through the Zangar initiative. They gain practical experience and youth-to-youth support to think like scientists and learn in-demand skills. From the start, Zangar has been a community-driven initiative, and we ultimately hope to make a lasting impact in terms of youth involvement and civic engagement. With Laureate International Universities, YouthActionNet® created a network of more than 1,500 young, socially minded entrepreneurs from 90 countries. These youth-led ventures prove the power of young people to advance the Sustainable Development Goals, including reaching gender equality and mitigating climate change. While IYF is perhaps best known for the work we do abroad, we also believe we can help address youth employability issues where we’re headquartered, in the United States. 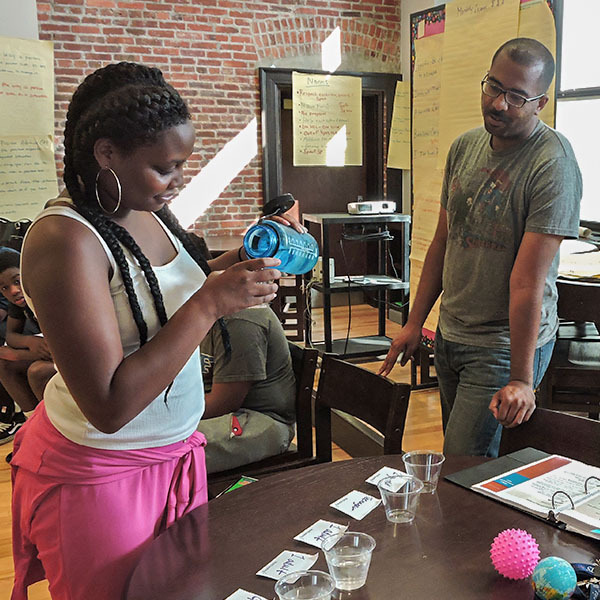 In 2016, we partnered with the Family League of Baltimore and the Baltimore Mayor’s office to provide Passport to Success® (PTS) work readiness and life skill training to hundreds of Baltimore City Public School teens participating in the city’s YouthWorks summer job training. 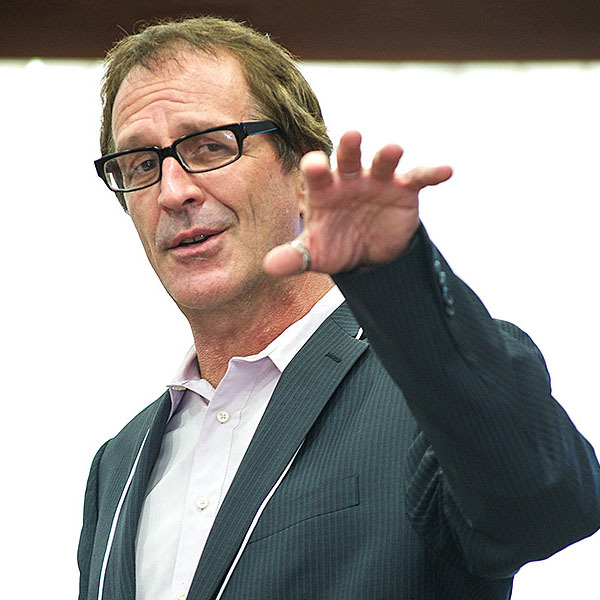 Launched in 2016, (Re)Connecting Youth: Exchanging Global Lessons, supported by the Robert Wood Johnson Foundation, is on track to share valuable lessons and strategies gleaned from our work across the globe in order to help young people in the United States find employment that lets them live productive, meaningful lives. The world is an increasingly interconnected place, and people from different countries have much to learn from each other. 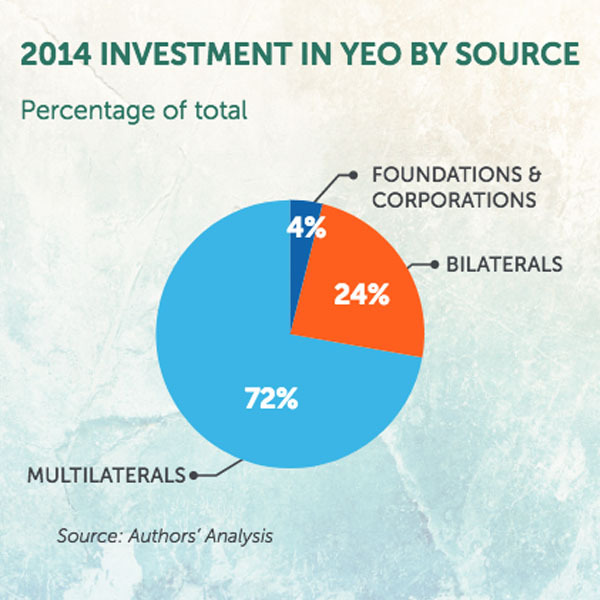 At IYF, we’re capitalizing on our unique international position and hope to foster more investment in globally connected projects going forward. Small and micro enterprise: In the Middle East and North Africa, what role does entrepreneurship play in achieving the UN’s Sustainable Development Goals? 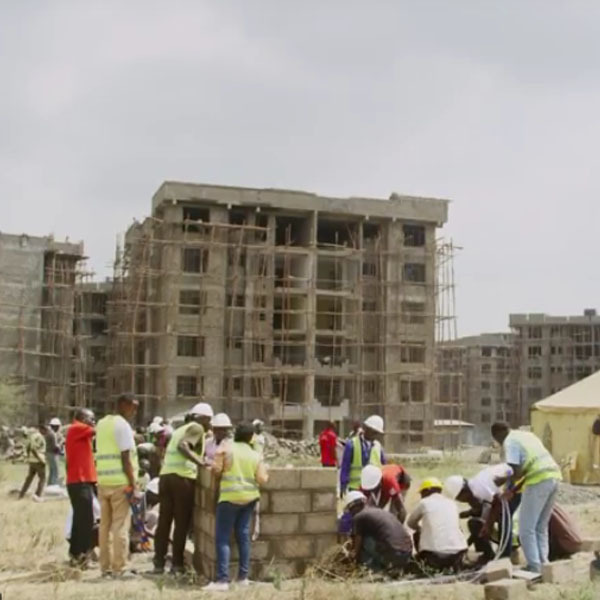 Sport & work readiness: Learn how soccer has helped Kenyan youth gain the skills they need to find jobs and thrive in the construction sector. Pioneering change: Meet Aditya Gupta, a 2016 Laureate Global Fellow and talented computer engineer, who founded an organization dedicated to promoting gender equality in India and the world. 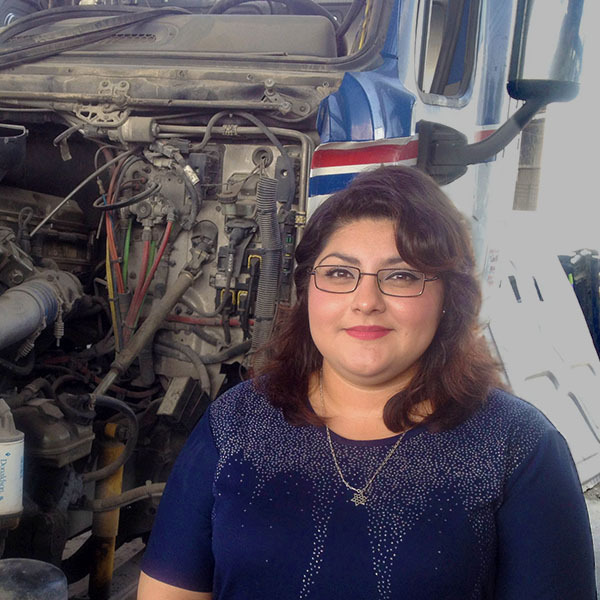 Gender & job training: In Latin America, women like Raquel who receive vocational training are thriving in trades typically dominated by men. By themselves, vocational, technical, professional, and entrepreneurial skills do not guarantee lifelong success in the 21st century workplace. According to PwC’s 20th CEO Survey (2017), seventy-seven percent of employers say that life skills like time management, personal responsibility, critical thinking, and the ability to work on a team are imperative. The same employers also report that these very skills are often lacking in prospective employees and constitute a major part of the skills gap. With this market knowledge, IYF’s initiatives feature a central life skills-building component that draws from our flagship Passport to Success® (PTS) training. Since 2004, PTS has been implemented in 50 countries and has supported more than 185,000 young people to earn their futures in fields ranging from construction to computer engineering, healthcare to hospitality, sales to social entrepreneurship. PTS includes 80 different lessons that are easily customizable for use in corporate, educational, and other settings. With a proven track record preparing youth for success in school, work, and life, PTS is a great fit regardless of one’s goals. IYF’s partnership with Hilton offers a powerful example of how PTS builds skills and offers benefits for trainees and trainers, employees and employers alike. In 2016, Hilton team members from 13 different countries completed PTS training designed specifically for the hospitality industry. After PTS training, IYF conducted an impact survey to assess the results. According to supervisors, the life skills competencies of team members who received PTS training in-person improved an average of 84 percent, and those who took the course online improved an average of 76 percent. The similarly positive results—a drop of only 8 percent—between in-person and online training results are heartening because with two methods of training available and proven to deliver, a much larger number of potential partners can be reached. For those who took the course in-person, the most significant improvements were seen in communication (87 percent), teamwork (87 percent), self-confidence (86 percent), and conflict management (84 percent). After completing PTS, 95.4 percent of participants were retained by Hilton. After completing PTS, 40 percent of participants received a promotion due to improved performance. Inspiring confidence: In Indonesia, 18-year-old Lutfiati is the youngest person her employer has ever hired. The broadest benefit: An emphasis on life skills training has been one of the keys to success for the Youth Entrepreneurship Development initiative in Palestine. Coming home: In summer 2016, a partnership with Baltimore City allowed IYF to reach youth in the United States. 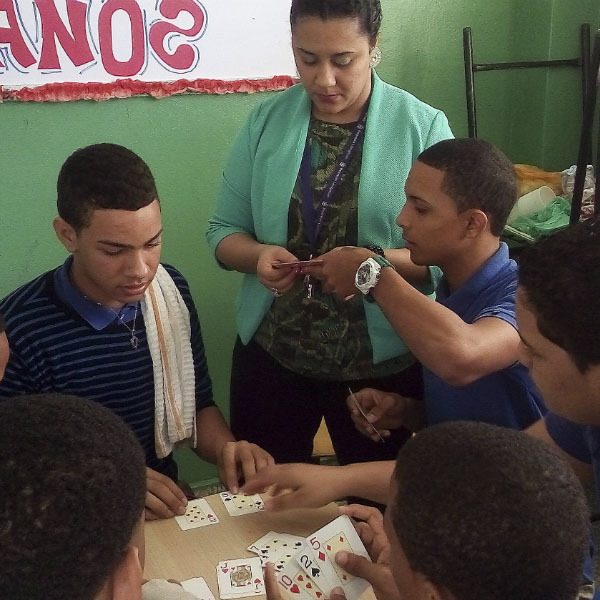 Men and gender: A class of young men in the Dominican Republic trained in PTS and developed an interest in and understanding of gender equality. An accurate and thoughtful assessment is the first step to understanding and making progress on any challenge. When employers are looking to hire a young person, a resume alone won’t tell them how well the person works in a team, manages emotions, or takes ownership of responsibilities. Finding a way to assess and quantify these sought-after skills would be a boon to both employees and employers. In addition, it’s critical for governments, businesses, organizations, and individuals to support those issues, policies, and initiatives that will advance youth development. Finding a way to facilitate targeted, strategic investments will be of great assistance to influencers and donors. IYF has worked to tackle issues in support of young people and broader development through two major efforts. In partnership with ACT, a worldwide leader in the field of cognitive and noncognitive skills assessment, IYF is developing a new Work Readiness Assessment (WRA). Measuring work readiness competencies is challenging, but the WRA will use the latest research findings in social-emotional learning to design a tool that yields the most reliable results possible. The WRA is designed to promote learning and assist young people in acquiring critical work readiness skills. This tool will allow NGOs and training institutions to assess the effectiveness of their own work readiness program—be that PTS, or not. Using the WRA, employers and organization leaders can save time, energy, and money searching for job candidates, and young people can have a credential that proves their sought-after work readiness skills. 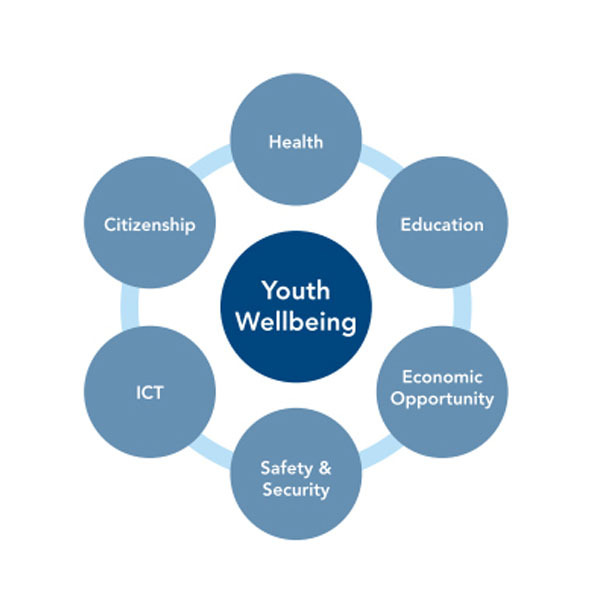 The 2017 Global Youth Wellbeing Index will provide a comprehensive diagnostic tool allowing decision-makers to easily understand the data they need to make smarter, better, more purposeful investments in youth wellbeing. Created in partnership with Hilton, the Index considers seven domains: economic opportunity, education, gender equality, health, safety and security, citizen participation, and information and communication technology. In a world characterized by change and uncertainty, one fact remains clear: whatever the future holds, our young people will be the ones to shape it in the most profound ways. For this reason, it’s the responsibility of the global community to understand who their youth are, what they need, and how to best serve their interests. Can life skills be tested? Scientist Richard Roberts confirms the answer is unequivocally, yes. Insights for investors: Due to a dearth of information, it’s difficult to know where and how to invest in the future of young people—IYF and the Center for Strategic and International Studies (CSIS) help fill gaps in data. Youth engagement: Young people must be an active part of the solution to the world’s challenges—the 2017 Global Youth Wellbeing Index gives voice to their perspectives. The future is always unknowable, and for many of the world’s young women and men this fact can feel daunting. However, despite a host of challenges, young people are not easily deterred—indeed, they possess inspiring determination, creativity, and resilience. IYF assembled the 2016 Annual Report in this spirit of hope amidst uncertainty. Around the globe, young people have big plans for the future. Many dream of building livelihoods in the formal sector, others of going into business for themselves. Some will do a combination of jobs to provide for themselves and their families. In many cases, the youth of today are already becoming the leaders and social innovators of tomorrow, contributing to local, national, and international communities in myriad important ways. What the world becomes is in their hands, and with the right guidance, assistance, and investment they have a chance to shape it in ways that can make a significant difference. For young women and men to be equipped and empowered to transform ideas, aspirations, and dreams into reality, it is critical they secure decent, sustainable livelihoods. This means developing foundational literacy and numeracy; digital fluency; specialized technical, vocational, and entrepreneurial skills; and equally critical work-relevant life skills such as teamwork, conflict management, and the ability to assimilate new information. For 27 years, IYF has worked to prepare young people to be healthy, productive, and engaged citizens—we view this not only as our mission, but also our privilege and responsibility. Like the youth we serve, IYF recognizes the challenges, but we are not easily deterred. The world is an increasingly interconnected place, and our futures are inextricably linked. Now—more than ever before—progress will depend upon working together. That’s why in 2016, we continued work with partners such as Hilton, USAID, the Mastercard Foundation, Robert Wood Johnson Foundation, and the Inter-American Development Bank. Responsibility should not—and need not—be shouldered alone. As we look to 2030—the target for meeting the global pledge to create a world of lasting inclusion, peace, and prosperity for all—and look back on 2016—a year characterized by remarkable changes and challenges, setbacks and opportunities—we must remember that whatever the world’s challenges are or become, youth will be an integral part of the solution. We look to the future with hope and enthusiasm. Will you join us?